Paytm is holding the ‘Mera Cashback’ Sale on its Paytm mall and is offering this year's’ Apple MacBook Air at Rs 44,450, after applying the Rs 14,000 cashback offer. The laptop was previously listed at Rs 59,990 with a Rs 10,000 cash back offer. Apple’s 2017 MacBook Air Laptop is being offered on the Paytm sale at Rs 44,450, after applying a cash back offer of Rs 14,000, against its initial listed price of Rs 58,250. The laptop is powered by a 5th generation Intel Core i5. It comes with 8GB LPDDR3 RAM and a 128GB Solid State hard drive. The MacBook features a 13.3-Inch screen at a resolution of 1440 x 900 pixels. Further, it features an integrated Intel HD 6000 GPU. The connectivity options on the MacBook include Wi-Fi, Bluetooth 4.0, 2 x USB 3.0, 1 x thunderbolt 2. It does not supports an optical drive, however, it comes with a built in HD webcam which is capable of capturing 480p videos. It also sports a multimedia card reader, stereo speakers with dual microphones and a backlit keyboard. The laptop is backed by a 2 cell 54 WHr Lithium polymer battery that can keep the device running for upto 10 hours on a single charge. 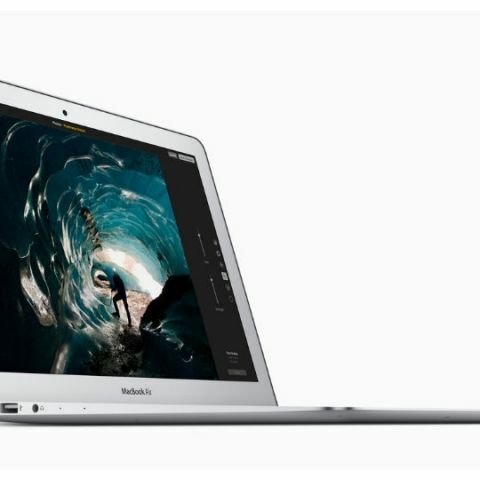 The Apple MacBook Air comes with macOS Sierra and will be upgradable to macOS High Sierra, which is expected to be released later this month. Apart from Paytm, Amazon and Flipkart are also currently running their own respective festive sales. Amazon’s Great Indian Festival sale and Flipkart’s Big Billion Days are live and are offering various deals and discounts across range of gadgets.